Poppies and Ireland are two things that I would not have paired. Yet, I started to notice images of poppies in my news feeds a couple of years ago. Not a lot, but enough to catch my attention. 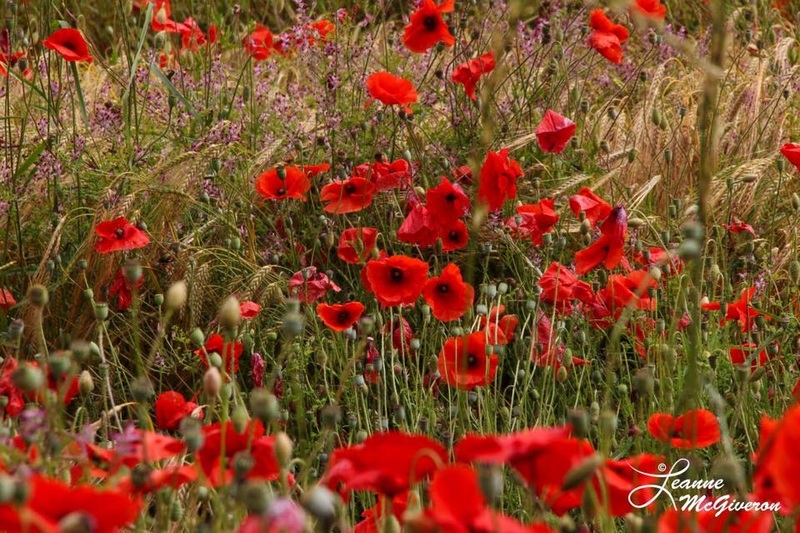 I would find myself thinking … how could I miss poppies? The idea was tucked away and forgotten. Fast forward to June 2014 and a conversation over lunch with Fran Bryne of Fran Bryne Photography. I had just spent the morning participating in one of his photo walks at Powerscourt Estate in Enniskerry, County Wicklow. Fran had a wealth of information, including some great landscape locations in the county. Somewhere along the way, poppies were mentioned. There was some good news and some bad news. 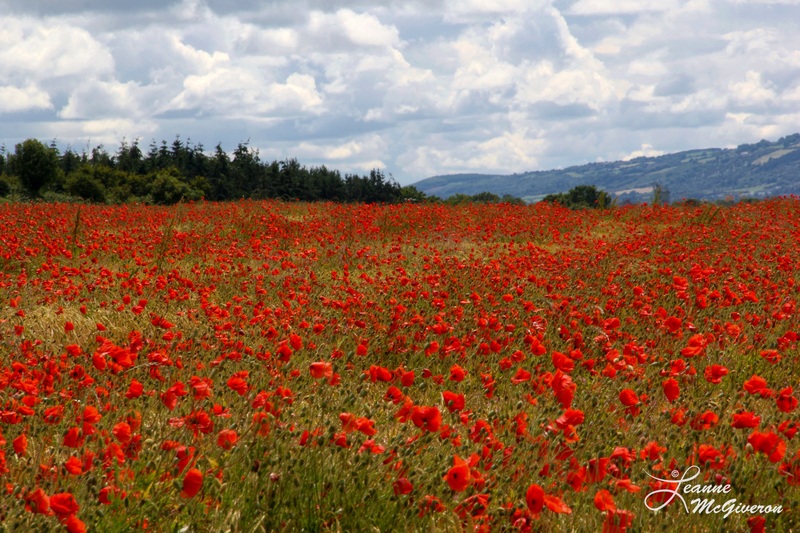 The good … poppies are found in Ireland and County Carlow is known to have some fields. County Carlow would be a reasonable drive during my June stay. The bad … poppies weren’t very prevalent that summer. However, there might be some opportunities. Once again, fast forward toward the end of the trip. It was decided that since we had a free day we would go in search of poppies. 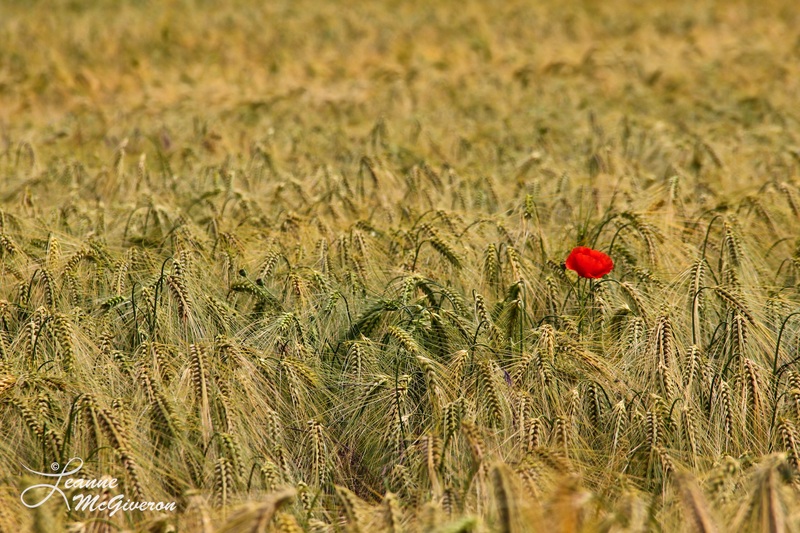 After following up with Fran, he had mentioned one place off of N81 that, while a rye field, had a number of poppies. An exact location … nope. Not a problem; we would wander. 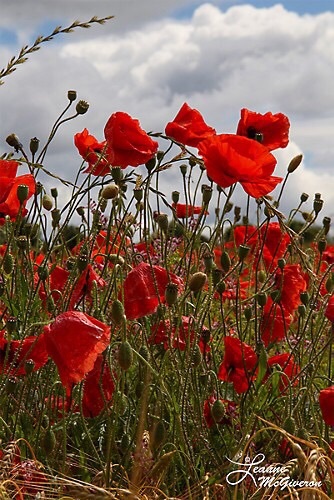 As we entered the county, we stopped the first time we saw poppies around a barn and in the ditch. Not many, but there were poppies. A few images and we then began to wander around the Carlow area. Not all was lost as we found a park. Once parked, I followed a path that opened up to a rye field. There a few poppies, but not enough to call it a poppy field. Back to the car. Somehow we managed to drive in circles a couple of times. We found more poppies in a couple of fields, but, again, not what I was hoping for. 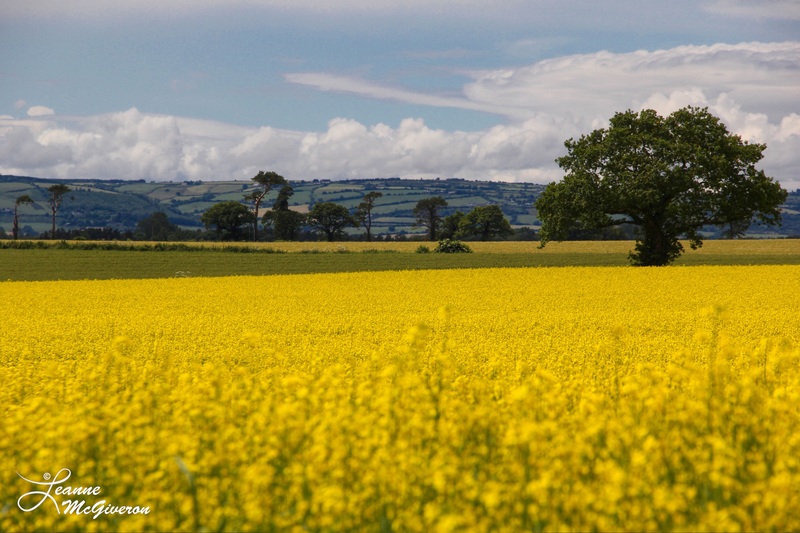 One thing that we did stumble across were beautiful rapeseed fields. (Rapeseed is used in making cooking oil.) More images and back in the car. And, believe it or not, we gave up. An idea … let’s continue onto Kilkenny. Why not? We were already sort of in the area and with long hours of daylight, we could make a ‘quick’ detour. Well, a funny thing happened as we were cruising down N81 south of Carlow. Out of the corner of my eye in a quick flash, I see red. Huh? So, I stopped, turned around and … no luck. After a couple of miles, I turned around again, picked of speed, and there was that quick flash. This time, I stopped sooner, turned around and kept my speed low. And there is was … yeah! I quickly parked and off we go. 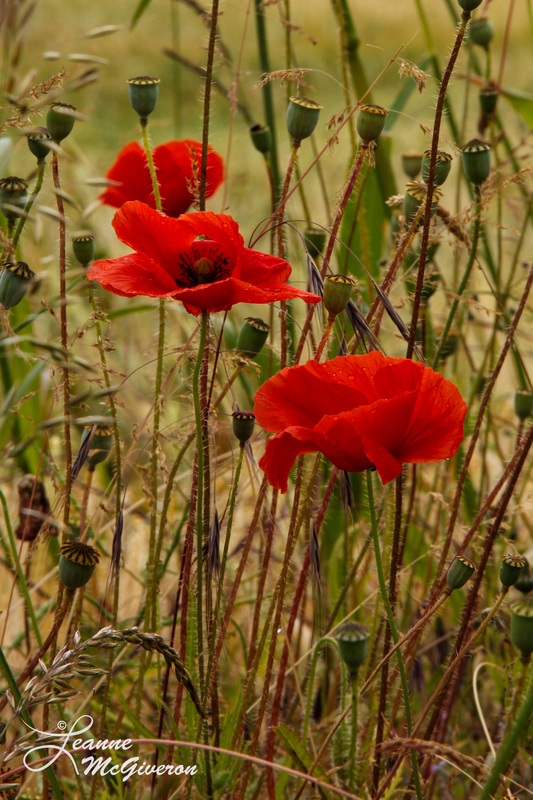 Before we know it, we are among the poppies. I am told that it was still not a ‘great’ field. There was a lot of rye present. But, there were lots of poppies and for me, it was enough. The rain was holding to the north, so it meant we had a great sky. 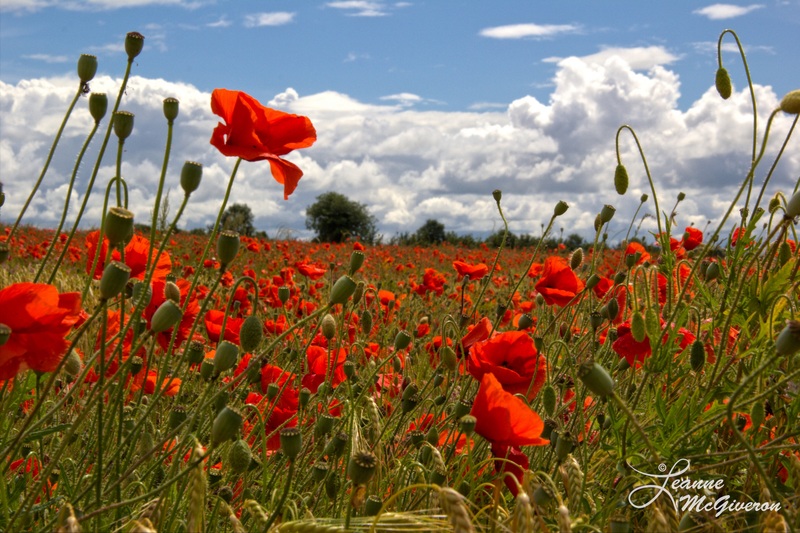 So, if you are ever in Ireland in June, keep a lookout for poppies. You will see an errant one along the road. But a field of them, well, is pretty incredible. And now that I have experienced that, I hear there are lavender fields in that area. Hmmmm … In search of lavender? It’s on the list.